A second-generation builder and philanthropist, Chik-Ho LAM played a crucial role in building the economic and social infrastructure of his hometown – Hong Kong -- as it emerged as a leading metropolis in Asia after the War. Chik-Ho Lam in his youth, nd. Courtesy Shona Lam. Mandarin pinyin Lin Zhihao, was born in Hong Kong in 1908, the second son of the prominent builder and philanthropist LAM Woo (林護 1871-1933). A native of Xinhui in Guangdong province, Lam Woo worked in Australia for a decade before returning to Hong Kong where he established a successful construction business under the name of Lam Woo & Co (聯益建造) in 1895, completing many major projects in Hong Kong, Canton and Shanghai. Lam Woo was also a pious Christian who financed and built many churches (e.g. St. Paul’s Church in 1911) and schools (e.g. the Diocesan Boys' School) in Hong Kong for the Anglican Church (Episcopal, locally also known as Sheng Kung Hui). 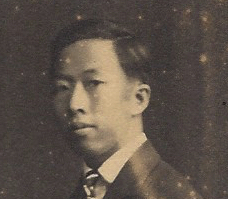 He was furthermore a major supporter of the revolutionary causes of Dr. Sun Yat-sen.
To groom his sons to take over his business, Lam Woo sent Chik-Ho (who had attended Canton Christian College – now Lingnan University Guangzhou) and his younger brother Chik-Suen (林植宣) to MIT to study civil engineering. Chik-Ho graduated from the Institute with a B.S. in civil engineering in 1931 with an outstanding record. His name was listed second from the top on the Phi Beta Kappa Board at MIT’s civil engineering department. CH Lam and WK Au wedding, Union Church Hong Kong, 1932. Courtesy Dr. Samuel Lam. 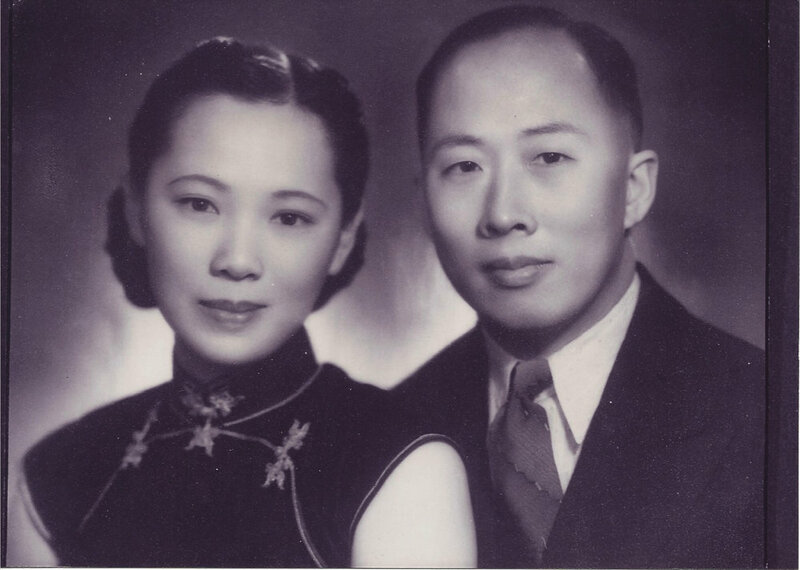 Immediately after graduation from MIT, Lam went to Shanghai and proposed to his childhood sweetheart, AU Wei Kwok, the third daughter of AU Ben, co-founder of the Sincere department store who was also a neighbor of the Lams in Hong Kong. They got married the following year (1932) at the Union Church in Hong Kong, where Chik-Ho had joined the family business. He did not have much time for training as his father died the next year in 1933, leaving him at the helm of the family business at the young age of 25. Chik-Suen left MIT to help out. When the Japanese occupied Hong Kong, the Lams fled the colony rather than collaborate with the enemy. After the War, the family business was rebuilt from the ground up in Hong Kong and soared to great heights under the leadership of the brothers during the construction boom triggered by the unprecedented economic and population growth in the colony from the 1950s to the 1980s. Noted for his honesty like his father before him, Lam was one of the few contractors who charged his clients on a cost-plus-10% basis and many of his clients entrusted him with contracts without going through the tender process. His commercial clients included major Chinese businesses such as Hysan, Wing On and the Bank of East Asia and the Jewish utilities and hotel tycoon, Lord Kadoorie. CH Lam, Tai Lam Reservoir, ca. 1955. Courtesy Shona Lam. Public works was another important aspect of his business and the largest project which Lam supervised was the Tai Lam Chung Reservoir (大欖涌水塘 aka Tai Lam Reservoir). Commencing construction in 1952 and completed in 1957, with a storage capacity of 4.5 billion gallons Tai Lam Chung was the largest reservoir in Hong Kong at the time. The project was critical to the sustainability of Hong Kong at the time as water supply was stretched by the massive influx of refugees from the mainland after 1949 and the purchase of Dong River water from the Chinese government did not commence until 1965. Some 1,600 workers were employed to help build the 200-foot-high and 2,200-foot-long dam, which covered 440 acres and used 400,000 tons of rock excavated from a nearby quarry. Given the scale of the project, the contracting party was Major Contractors, Ltd, a joint venture formed by Lam Woo & Co with Kadoorie-controlled Hongkong Engineering and Construction Co and Cheong Hing Co. The company also built for many nonprofit institutions such as the University of Hong Kong and many other schools, churches and hospitals. Thanks to the strong foundation laid by Chik-Ho and his brother, the century-old Lam Woo & Co remains one of the leading contractors in Hong Kong today. Outside of construction, Lam also developed a number of buildings in Wanchai as investment properties for the family and served on the board of the Wing On Bank and On Lok Yuen & Co (a leading confectionary firm), which were controlled by fellow Chinese Christian families, the Kwoks and the Cheungs respectively. He and his brother not only preserved but augmented the family fortune through the decades of political and economic turbulence and in turn they gave back more to society and continued the philanthropic legacy of their father. CH Lam, surveying, nd. Courtesy Shona Lam. Raised as a principled leader, LAM Chik-Ho was involved in philanthropy very early on and served as a director of the Tung Wah Group of Hospitals, the leading Chinese charitable organization in Hong Kong in 1934 alongside his fellow MIT schoolmate Peter Henry Sin. Most of his postwar philanthropy, however, was done through the Anglican Church, where he worked closely with Bishop Ronald Hall (whom he met twice on a weekly basis for many years) and was particularly active in the medical and education efforts of the Church. Earlier in his life, Chik-Ho was infected with tuberculosis and he miraculously survived despite of the lack of medication at the time. This experience probably inspired his involvement in the medical field later in life and both of his sons went into medicine. From 1962 to 1964, he served as the chairman of the Alice Ho Miu Ling Nethersole Hospital in the Mid-Levels, which was run by the London Missionary Society. The Society kicked off a campaign to build a hospital in the newly industrialized district of Kwun Tong in Kowloon in 1964. After almost a decade of planning and construction, the United Christian Hospital opened in 1973 with Lam as its founding chairman and currently serves an area of over one million people. In terms of education, he served as the chancellor of the Diocese of Hong Kong for many years and was council member of many schools sponsored by the Church, including St. Paul’s Co-Ed, SKH Lam Woo Memorial Secondary School and Lingnan College (now Lingnan University). The influx of refugees from the mainland in 1949 led to urgent demand for schools in Hong Kong and to help meet the challenge, he founded St. Paul’s English PM School in 1949 in Glenealy, which was renamed the St. Mark’s School in 1953 and relocated to Shaukeiwan on the eastern side of HK island in 1956. Lam was involved with St Mark’s as its Supervisor for three decades and helped built it into a very reputable secondary school. He also served as the chairman of the Church-sponsored Chung Chi College, one of the founding colleges of the Chinese University of Hong Kong from 1968 to 1970. Lam was also director of education for his industry trade group - the HK Building Contractors’ Association (which his uncle was a co-founder of in 1922 and he was elected a director in 1955) and was responsible for establishing the HKBCA School in 1957, which he was the founding supervisor and later chairman of the board (1963-69). Lam was appointed to many committees and tribunals by the British colonial government. In 1961 he was appointed Justice of the Peace and in 1968, he was awarded the MBE (Member of the British Empire) medal by Queen Elizabeth II in recognition of his civic contributions. He passed away on May 30, 1986 at the age of 78 in Hong Kong and over 2,000 people attended his funeral at the St Paul’s Church. Lam and his wife of 53 years had two sons and 5 grandchildren. His family continued his legacy of philanthropy and today his name could be found on the Lam Chik Ho Lecture Theatre at HK Polytechnic, the Lam Chik Ho Audio Visual Theater at the Lingnan University, the Mr. & Mrs. Lam Chik Ho Health Care Center at the SKH Cyril & Amy Cheung Aged Care Complex and the Lam Chik Ho Hall at the United Christian Hospital in Hong Kong. Lam and Au at Tai Lam Reservoir, ca. 1960. Courtesy Shona Lam. CH Lam as a baby, ca. 1908. Courtesy Shona Lam. CH Lam, April 1926. Courtesy Shona Lam. CH Lam and WK Au, 1934. Courtesy Shona Lam. CH Lam and WK Au. Courtesy Shona Lam. 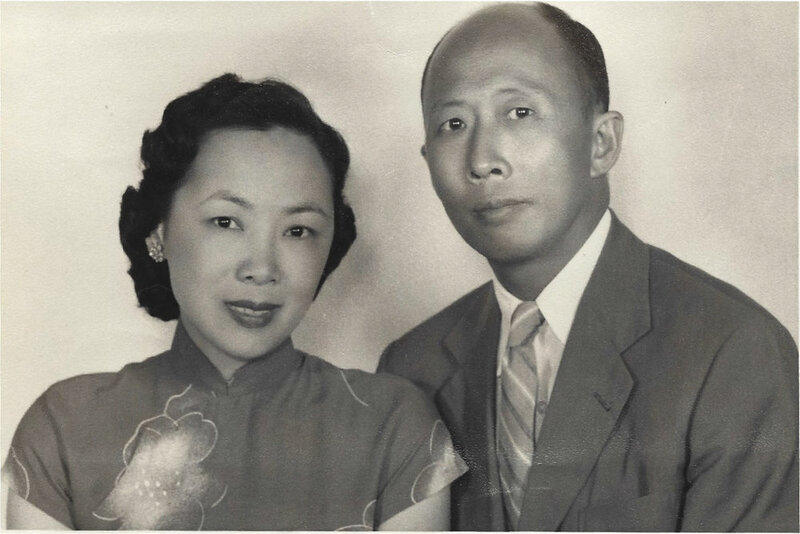 Photographs of Chik-Ho Lam and family courtesy Dr. Samuel Lam and Shona Lam. Email correspondence with Lam’s son Dr. Samuel Lam, Shona Lam and Fiona Lam, Carina Chiang. HKBCA Yearbooks and HKBCA School Anniversary Reports. MIT Technique. Chinese Students' Directory.